We had two fabulous litters of puppies this year, but we have had a waiting list so we have not advertised, below are examples from 2015 of the lines that we are producing to give you an idea of our breeding programme and the quality we aim to produce. Due to being let down, we have one beautiful male orange roan puppy available. He is now 12 weeks old and has been fully vaccinated and microchipped. - Sorry - now sold. Please ring us for more details if you are interested. 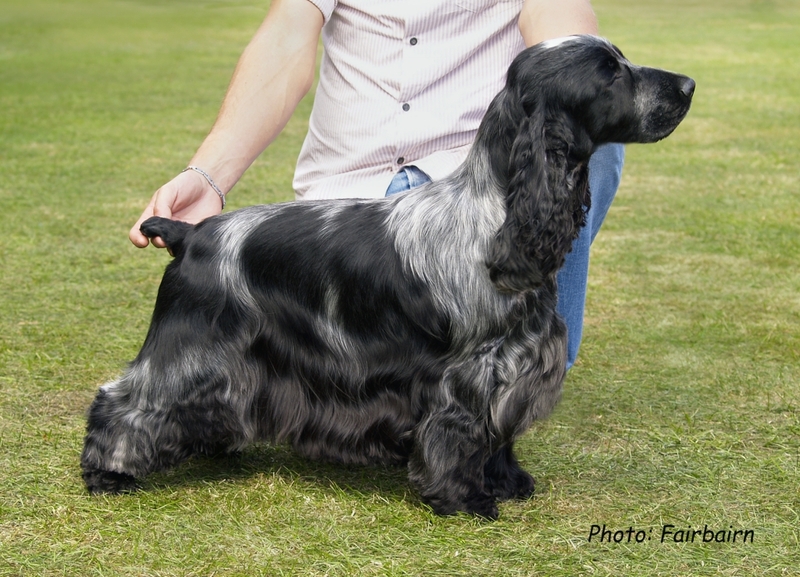 This was a fabulous mating, a repeat of the mating we did last year, we had the most beautiful puppies with such lovely characters, and we expected, and got, beautiful puppies again this time. 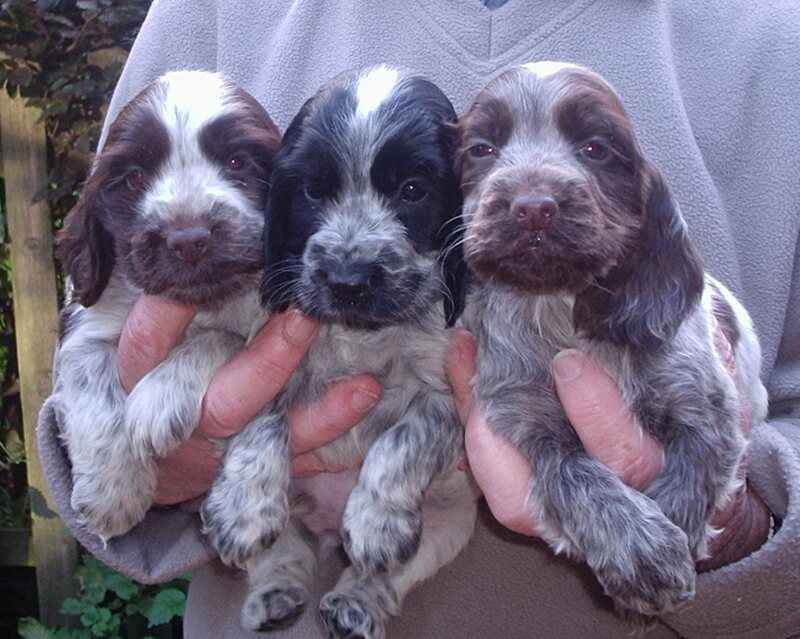 Below is a picture of the last litter we had from Arran, Tipperlin Day Tripper to Rosbercon, last year. Six different colours, lovely temperaments, and type. 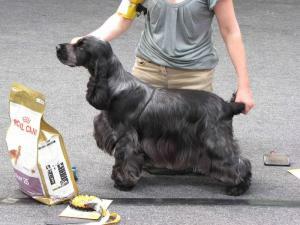 We would like to thank Sheena Lill for letting us use her lovely dogs. We were very excited about this litter, as a repeat we knew that the puppies will be fantastic, and they were. 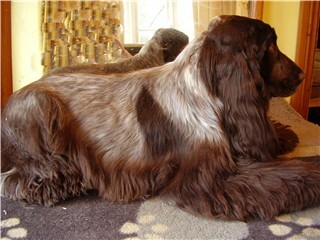 A beautiful even litter with lovely markings, superb heads and cobby shape. 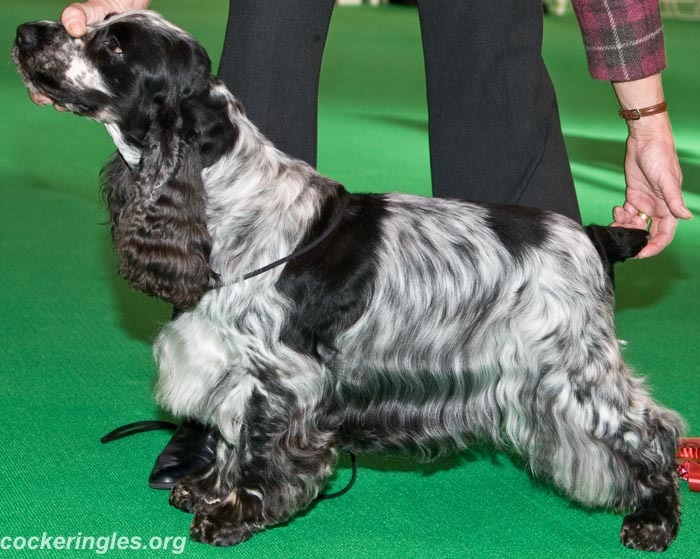 Below is the pedigree of Domino's litter, they were beautiful! 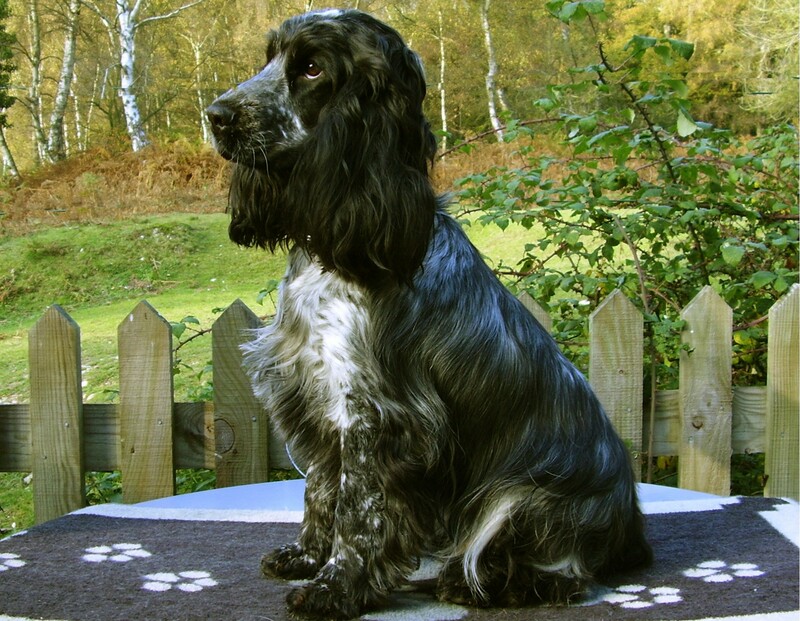 All our dogs are Genetically tested for PRA and FN - the puppies cannot develop either of these conditions. Wormed with Drontal and full advice and support given. "Progeny not eligible for registration" and" No export pedigree can be obtained"